Chivas Regal, the world’s first luxury whisky, is once again selecting the world’s top bartenders to take part in this year’s Chivas Masters competition. Developed to celebrate innovation, camaraderie and the craftsmanship at the heart of mixology the competition will see global finalists compete to become the 2015 Chivas Master. Following the success of the inaugural competition in 2014, Hong Kong will be the first of 12 countries to hold national finals, before the competition culminates in a two-day grand final in New York City in July which will be judged by a distinguished panel of leading bartenders and industry experts. 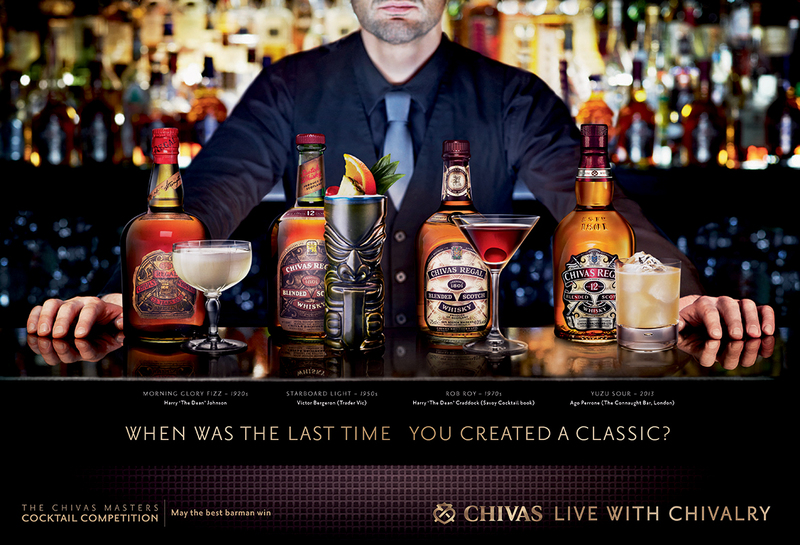 To become the Chivas Master, competitors will need to demonstrate their knowledge of cocktail heritage, mastery of the art of presenting and making great drinks to produce their own classic serve. As well as putting the industry’s best bartenders onto the world stage, the competition enables competitors to explore cocktail history through Chivas Regal’s rich heritage. Finalists will be challenged to create classic drinks from four of the great cocktail eras – the Classic Age (1880-1920) in which Chivas Regal was created; the Post War Boom (1945-1965) during which time Chivas 12 was introduced; the Disco Years (1975-1990) when Scotch whisky became a truly global brand, and the present modern Age of Revivalism, as Chivas continues to build its reputation as an icon of timeless luxury and exceptional quality. A unique prize waits for the global 2015 Chivas Master, as they will have the opportunity to work in three iconic bars, in three iconic cities to create three iconic signature drinks. The Chivas Master will be taken on an extraordinary experience where they will work alongside some of the most influential bartenders around the world to collaborate on the creation of a series of signature drinks. Over the next few months, national heats will play out around the world as bartenders compete in countries such as China, France, Russia and the United States. Only one competitor from each market will be selected to travel to New York to take part in the grand final in July.